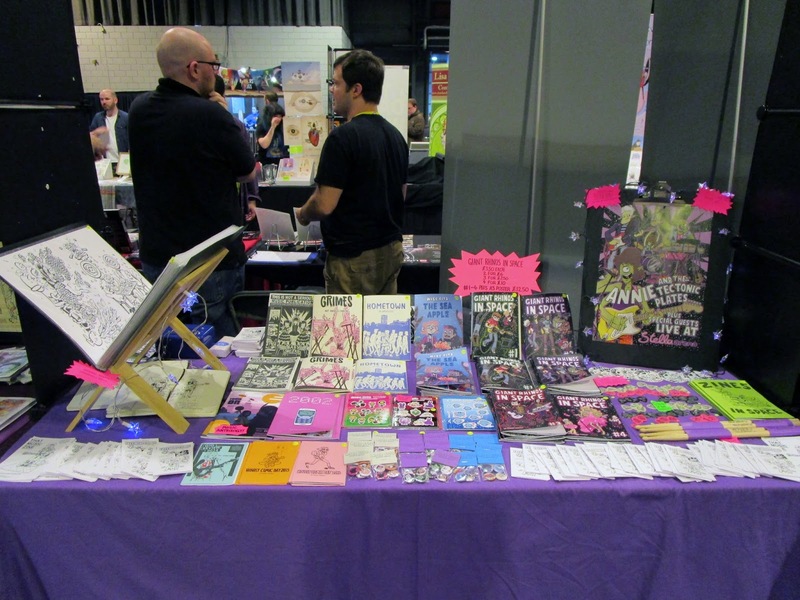 Thank you to everyone at Scotland MCM Comic Con over the weekend! 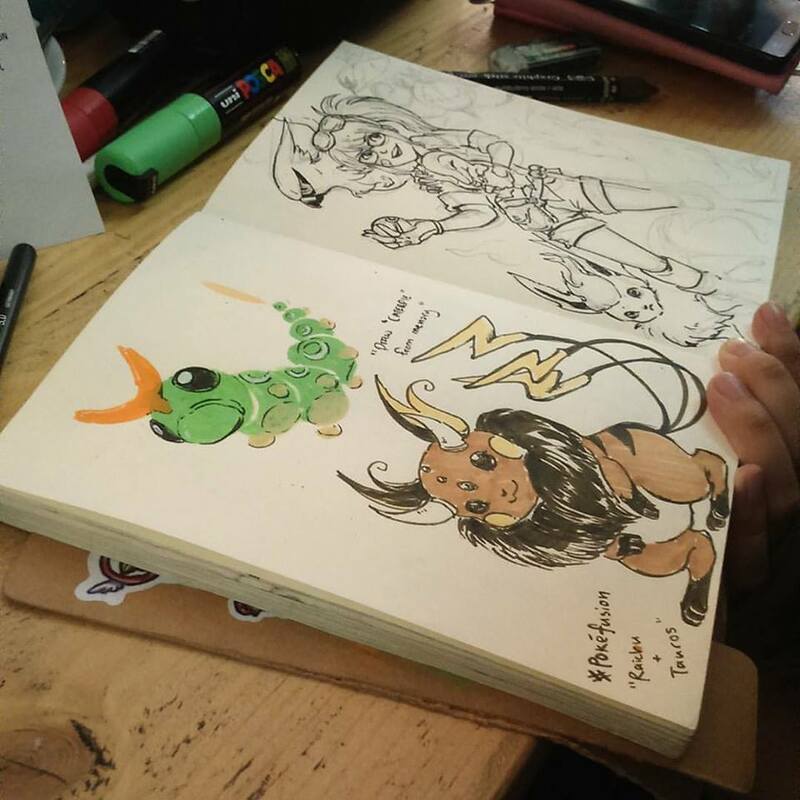 It was really lovely to see people from last year and meet new people. 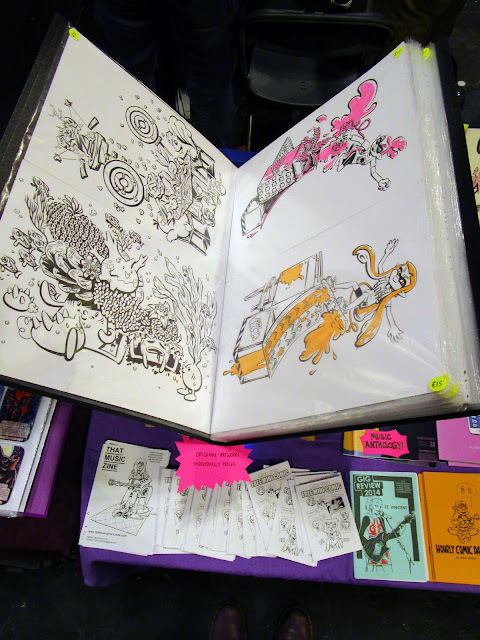 I have a 1/2 table at the Bristol Comic & Zine Fair this Saturday. 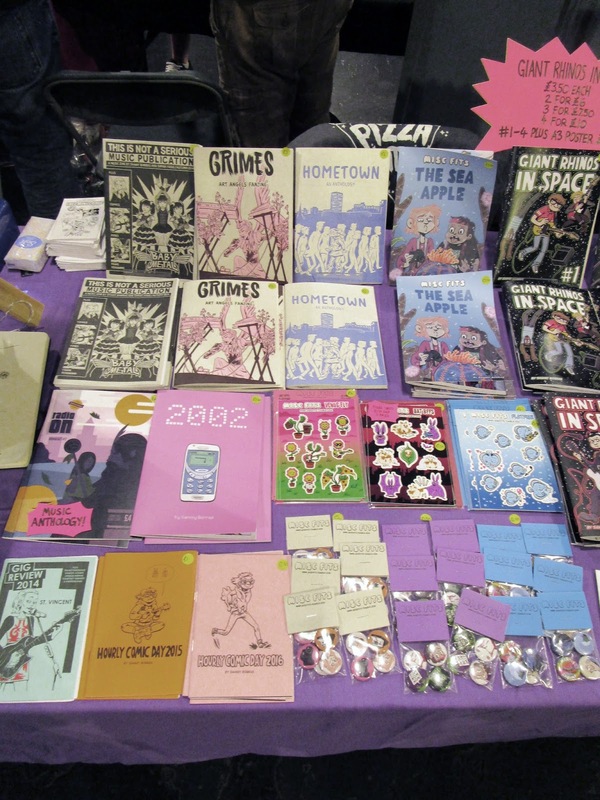 Best zine fair of the year - see you there?! I’ll be bringing FREE MINI COMICS as usual! 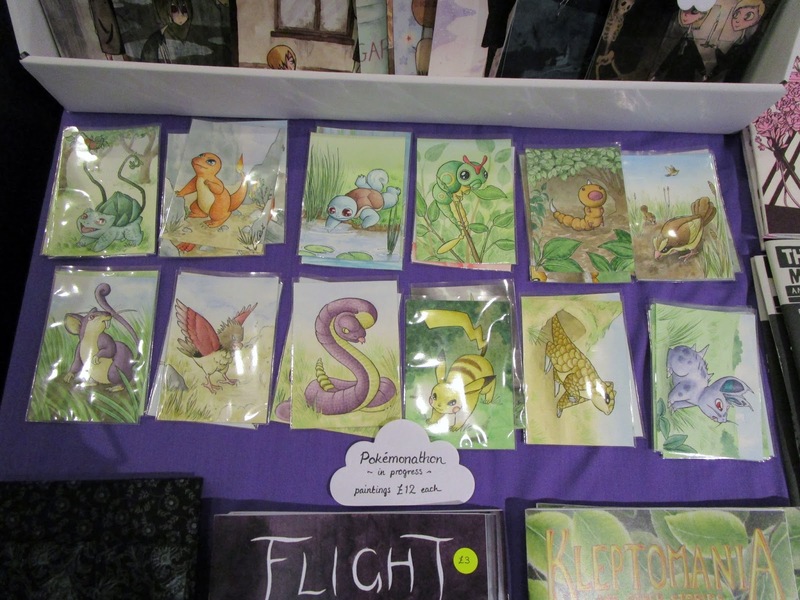 If you can't make it to Bristol, there's a list of autumn events in the blog sidebar and don't forget I have an online Etsy shop - ships worldwide. 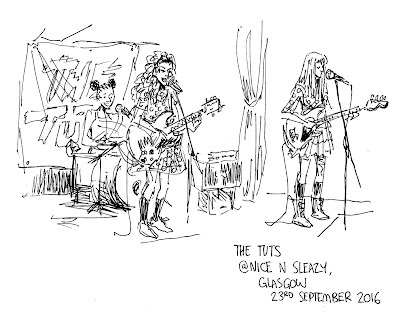 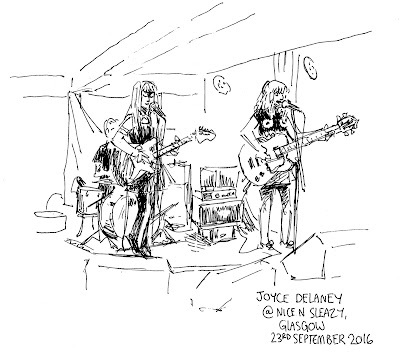 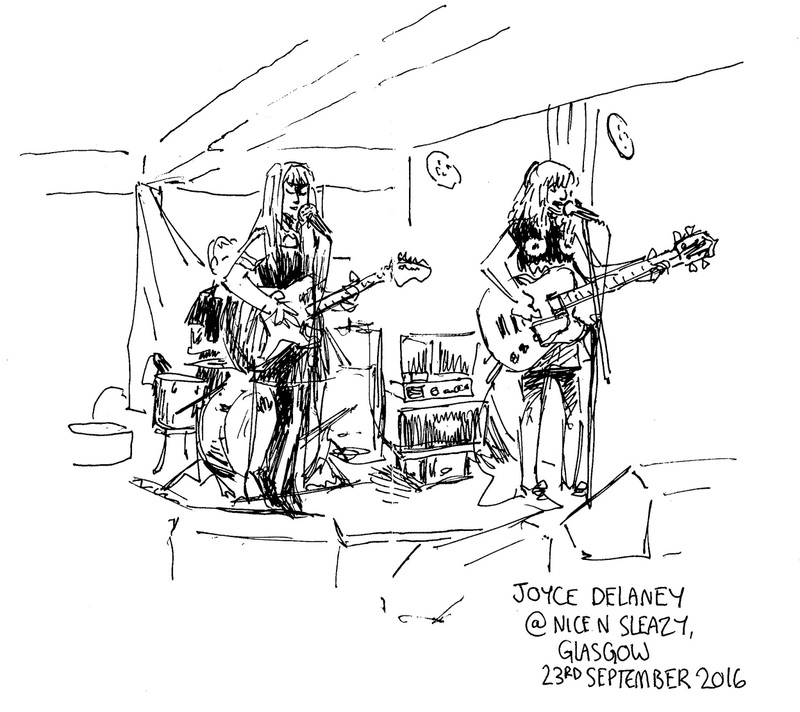 I managed to catch some great bands play in Glasgow on the Friday night before the event - Joyce Delaney, Crywank & The Tuts. 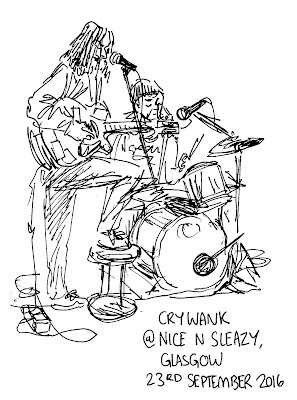 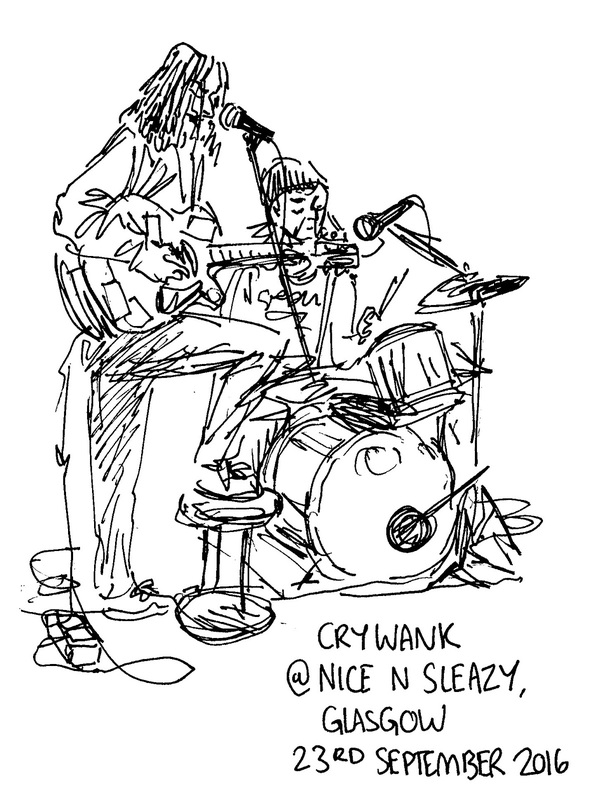 More gig sketches on my music blog tag. Thank you to everyone who found us at ICE Comic Con on Saturday. 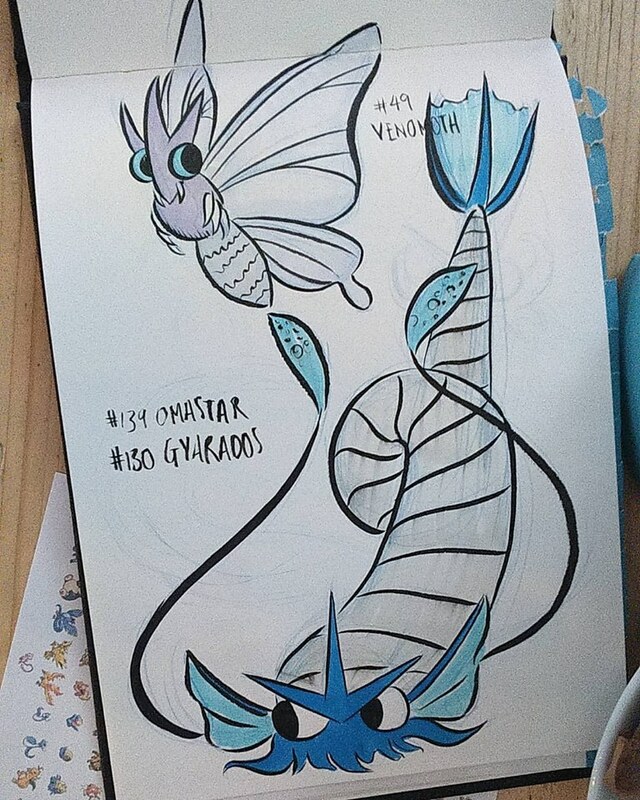 Special thanks to Sarah Fogg for bringing her Pokemonathon and keeping me company. 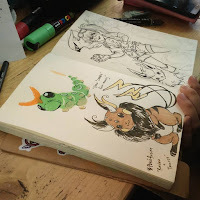 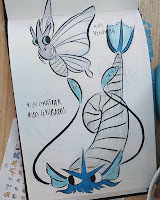 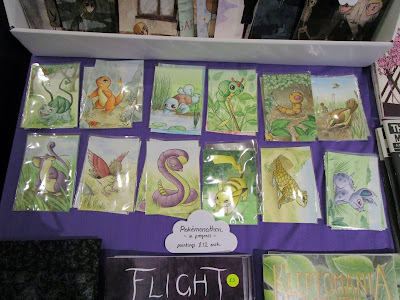 The Pokemon paintings are available to order from Sarah's Etsy shop. 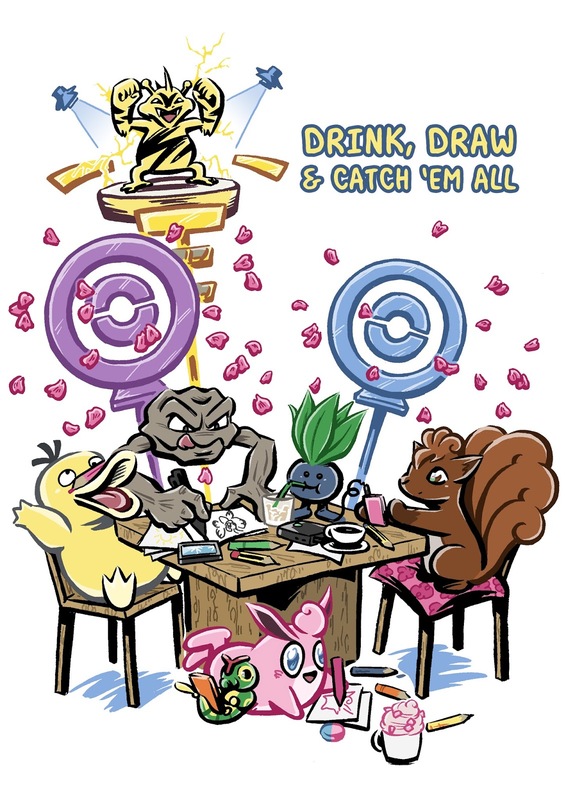 It's nearly convention season again! 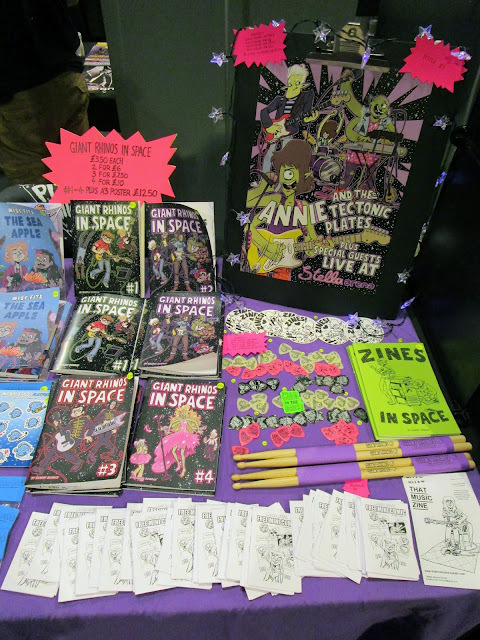 I convinced Sarah Fogg to team up with me again and bring some things from her Etsy Shop to ICE International Comic Expo next Saturday! 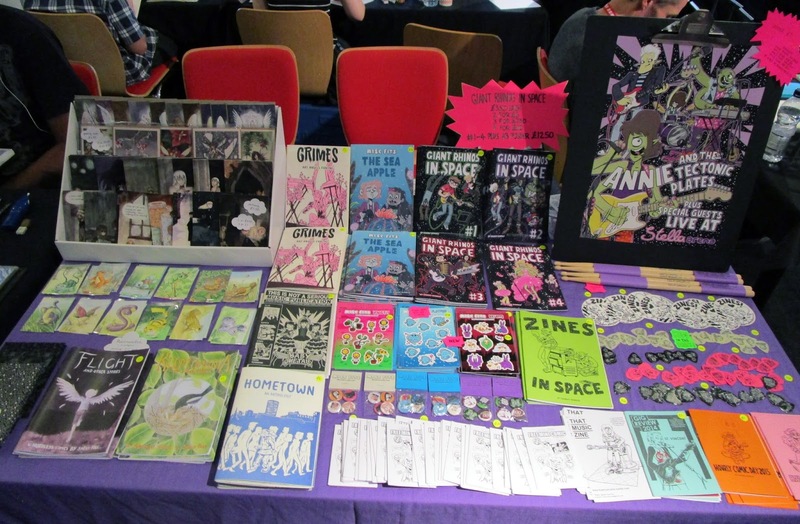 I can also confirm a table at Birmingham MCM Comic Con in November. 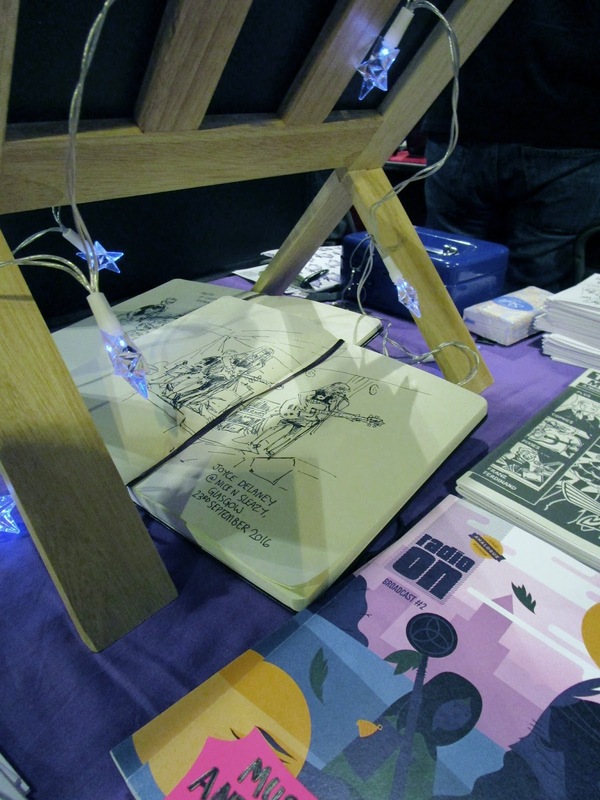 Please don't forget it's Laydeez Do Comics Birmingham on Monday 5th September - the event has moved back to the Green Room for better wheel chair access.